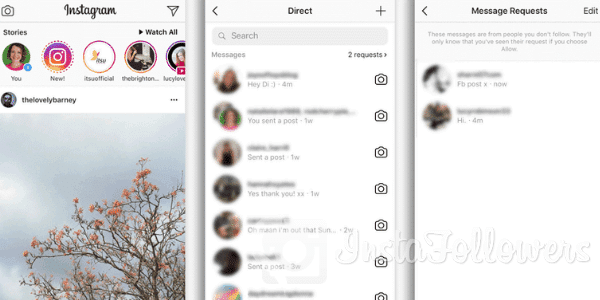 Messaging on Instagram and chatting with other members is a bit easier than other social media sites. No need to download extra apps like Facebook messanger. You can send a message to any user via the direct application. If you don’t know how to check messages on Instagram, you can learn in a few easy steps. In the top right corner, you will see a pointed arrow. This icon represents your message box. If this section is red, it means that you have a new message. If you wish, you can also edit different notification settings in this section. You can set your notification preferences for video chats or message requests. You can change these settings later. 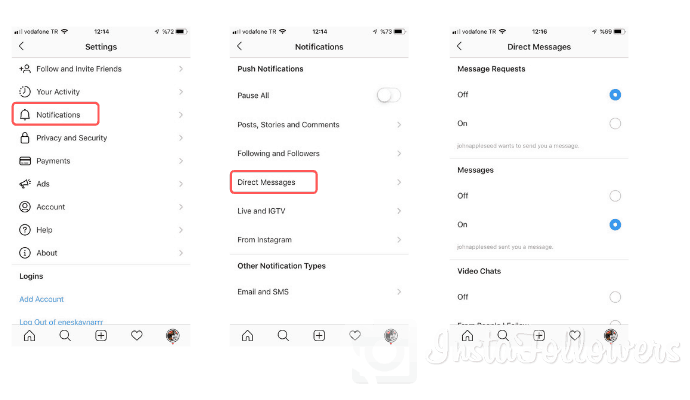 To check messages on Instagram, we recommend that the notifications be turned on. Thus, when you receive a new message from any user, it will appear on your mobile phone screen as a notification. f notifications are turned on, you will need to check the messages manually. When you receive a message from someone, you will not know and you will only see when you check. If you want to be in constant communication with your followers, we recommend that you turn on notifications. Don’t miss any message from your followers! Unfortunately, this option is not available on Instagram. You cannot use the message option via the Instagram website. We don’t know exactly why they’re restraining, but we can say it’s a ridiculous strategy. It is very interesting that Instagram only allows you to send messages via the app. There are some mobile applications that claim to do this, but we’re not sure how accurate these applications work. Integrating 3rd party applications into your social accounts and granting them some permissions may compromise your account’s security. Perhaps soon, Instagram will eliminate this restriction and allow users to communicate via the website. Who knows? We recommend that you read our previous article titled How to Schedule Instagram Posts?. Previous Previous post: How to Change Snapchat Username?